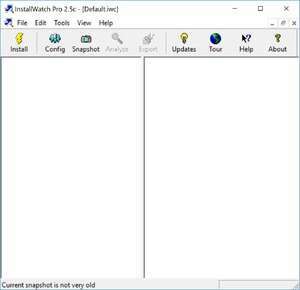 InstallWatch is a Windows-based filesystem comparator tool, able to compare the contents of your filesystem and system registry between two points in time. It's probably most often used to tell the user what changes a software installation inflicts on a system, but testers can find several other uses for the tool. For example, you can find out exactly what your software's installation process does to your system, and compare this to the expected behavior of the installer. You can verify that the uninstall process removes everything it's supposed to, and no more. For security reasons, you should also check out the InstallWatch Pro download at LO4D.com which includes virus and malware tests. Additional screenshots of this application download may be available, too.